Grace and Matthew Bio - "Dancing with Kinesiology"
Hello. I'm Grace Thibodeaux. I'm a senior in the kinesiology program here at UL studying exercise science. I plan to graduate in May. I was a cheerleader for the university for 3 years, along side my wonderful partner Matthew Zada. I'm a dancing queen and a ball full of fun. Get ready for a show filled with some sass and we may have some tricks up or sleeves! Hey to all my fellow CAJUNS! My name is Matthew Zada I am a senior in public relations with a minor in business here at UL. I graduate in May, and I am excited to put what I learned here at UL into the real world. 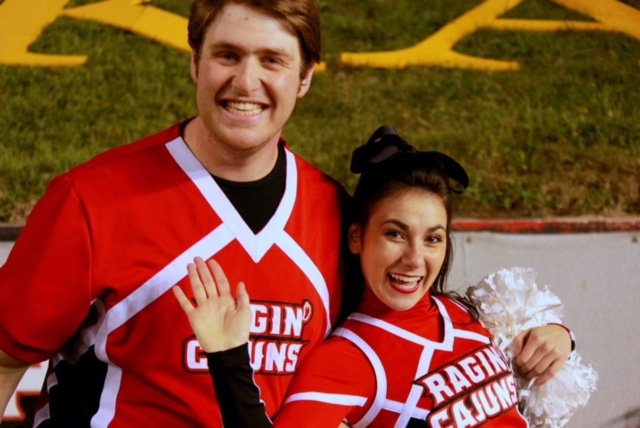 Along with my sassy partner I have been a Ragin Cajun Cheerleader for 3 years. So you know it's going to be a fun show when we pop, lock, drop it and pick it up real slow! A HUGE special thank you to our choreographer Thea St. Germaine.